Open Tech Strategies provides expert advice and services to help organizations use the advantages of open source to reach their goals. Our clients come to us for assistance launching, joining, evaluating, or influencing open source software projects, and sometimes because they seek transformative change along open source principles for their own organizations. Our partners and staff draw on decades' worth of experience to provide professional guidance that enables our clients to navigate the technical, cultural, and legal landscape of open source with confidence and repeatability. James Vasile has fifteen years experience as a user, developer, advocate and advisor in the free and open source software world. 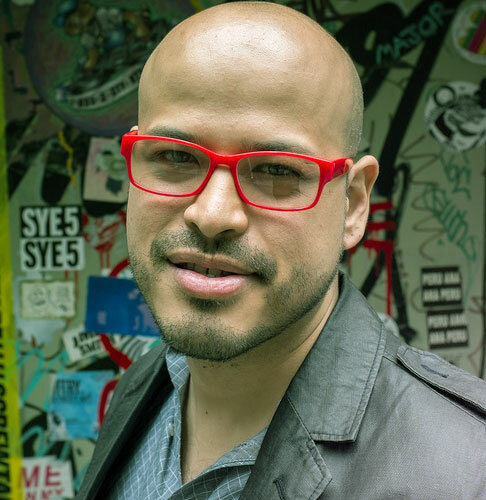 His expertise is in software licensing and community-building, as well as non-profit and small business startup. He focuses on free software and open source production, although his work and interests often take him far beyond the world of software. Much of what James does involves teaching people how to build successful businesses around free software and ensuring licensing alignment in multisource FOSS stacks. James's technical experience also allows him to act as outsource CTO/Architect, due-diligence open source expert, new venture advisor, fiscal sponsorship facilitator, and more. 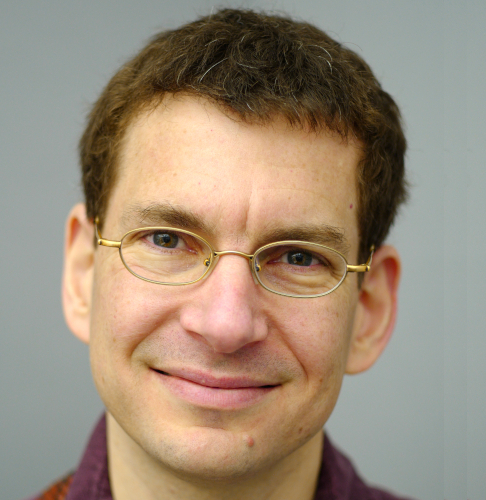 In addition to his work with OTS, James was the founding Director of the Open Internet Tools Project, which during his tenure originated a variety of excellent community-based projects. These include Techno-Activism Third Mondays (a meetup that gathers people in over 20 cities around the world every month), the Circumvention Tech Festival (which has become the Internet Freedom Festival), and a 1000+ volunteer translation project now know as Localization Lab. He was also a founding board member and is now part owner of Overview Services, which makes open source software that powers Pulitzer-winning data journalism. Previously, James was a Senior Fellow at the Software Freedom Law Center, where he advised and supported a wide range of free software efforts. A former Director of the FreedomBox Foundation, James remains active in several technology development efforts. His FreedomBox work has been recognized by an Innovation Award at Contact Summit 2011 as well as an Ashoka ChangeMaker's award for Citizen's Media. James frequently speaks and writes about technology trends and free software. His FreedomBox talk at Elevate Festival, for example, has been received well, and his writing on FOSS project management and work on extension licensing and derivative works have been widely read. James was a founding board member of Open Source Matters, the non-profit behind Joomla. He began his career at Cravath, Swaine & Moore. You can learn more about him from his GitHub activity and his LinkedIn profile, or by connecting with him on Twitter. Karl Fogel has been an open source developer, author, project manager, and specialist in collaborative development techniques for over two decades. In 1995, he and Jim Blandy co-founded Cyclic Software, the first company offering commercial support for CVS, the free software version control system; in 1997 he added support for anonymous read-only repository access to CVS. In 1999 he wrote Open Source Development With CVS (Coriolis OpenPress). From 2000-2006, he worked for CollabNet, Inc as a founding developer in the Subversion project. In 2005 he wrote Producing Open Source Software: How to Run a Successful Free Software Project (O'Reilly Media). He has since been an open source specialist at Google, at Canonical Ltd (where he helped release the Launchpad.net code), at O'Reilly Media, and at Code for America/ Civic Commons, where he worked with non-profits and government agencies to release and manage open civic technology projects. Karl has also been a board member at the Open Source Initiative, an Open Internet Tools Project Fellow at the New America Foundation, and is a member of the Apache Software Foundation. In addition to his books, some of his articles on collaborative development are: “Teams and Tools”, “Dissecting The Myth That Open Source Software Is Not Commercial”, “What's the Return on Investment for Open?”, “What Is Free Software?”, “Open source mistakes for enterprise newcomers” (with James Vasile), and “Be Open from Day One, not Day N”. Further information can be found in his GitHub, Twitter, and Identi.ca accounts, among other places. Sumana Harihareswara is an open source software contributor and project manager. With Open Tech Strategies, she has worked on the Provider Screening Module, StreetCRM, and other projects; she has also worked on the Python Package Index, HTTPS Everywhere, OpenNews, Zulip, GNU Mailman, and several other open source projects. Previously, Harihareswara worked at or with the Wikimedia Foundation, Collabora, GNOME, QuestionCopyright.org, Fog Creek Software, Behavior, and Salon.com. She holds an MS in Technology Management from Columbia University and a BA in political science from the University of California, Berkeley. She is a member of the Python Packaging Authority and a maintainer of Twine, and a certified Software Carpentry and Data Carpentry instructor, and she participated in the Recurse Center in 2013 and 2014. 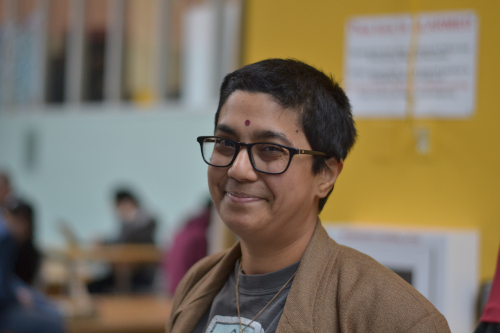 Harihareswara frequently speaks and writes about open source and management; she was keynote speaker at Open Source Bridge in 2012, code4lib in 2014, Wiki Conference USA in 2014, and LibrePlanet in 2017. She received the Open Source Citizen Award in 2011. For more on Sumana, see her Mastodon, Twitter, GitHub, and blog. Paul Morris first got involved in open source software development by writing Firefox Add-ons and as a contributor to GNU LilyPond and Mozilla Thunderbird/Calendar. He participated in Google Summer of Code and is an alumni of the Recurse Center. At OTS he does full-stack web development with a focus on the front-end and also technical writing and editing. He holds a Ph.D. in Religion Studies from Syracuse University. For more about Paul, see his Github activity. Frank Duncan has been a software developer and chocolatier for the past fifteen years. With Open Tech Strategies, he has worked on the Provider Screening Module and the Red Cross Smoke Alarm Portal. He also has contributed to the Local Initiatives Support Corporation's "Testing the Model" software. He has worked in legal copying, online travel, financial compliance, and more recently with Northwestern's Center for Connected Learning on the NetLogo programming language. 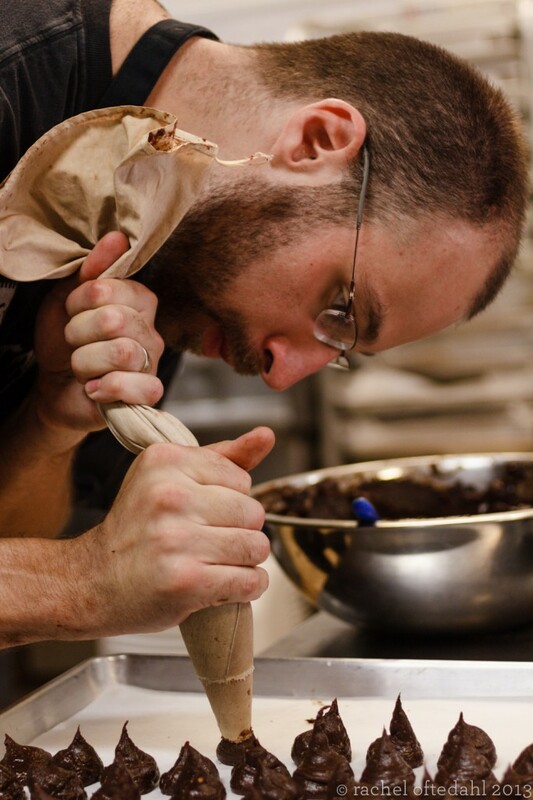 He and his partner have owned and operated Katherine Anne Confections in Chicago, IL since 2006, where he applied his passion for software to the art of crafting chocolate. Further information can be found at GitHub. Our clients and partners include companies from global enterprises to small businesses, non-profits, and government agencies from national to municipal levels. This is a sampling of the clients and partners we work with. These resources about starting and managing open source projects were either produced by Open Tech Strategies, or were written by or with significant involvement from people now at OTS. A slide presentation about our Open Source Archetypes report. A high-level typology of open source projects and what each type is best suited for. Commissioned by Mozilla and co-published with them. Concept map for a 2018 presentation by James Vasile and Cecilia Donnelly at SCALE16x. A funder's guide to achieving program goals by vetting, sustaining, and empowering grantees who do open source software development. A report on GeoNode, a successful open source project, that quantifies the ROI and identifies the strategies and tactics that drove success. It seeks to provide insight into the question of how to replicate that success. Whitepaper on common questions about open source licensing. Originally written for a client, and published (with the client's agreement) because it addresses questions we encounter frequently. What is the return on investment of doing technology projects in an open source manner? Why open sourcing is easiest and most effective when done at the start of development. Don't delay, open it today! A freely-licensed, widely cited book about how to organize and run open source projects. How to choose the right open source license for your project. A "how to release open source code" checklist. General guidelines on how to run a project after it's open sourced, tuned especially for government projects. A guide to common issues faced by free and open source software efforts. An exploration of how the GPL applies to extensions in the Wordpress Content Management System. These concepts apply to many other CMS and web app structures as well. How an open source community looks shortly after code release (in this case, software released by a U.S. Federal agency working with a vendor). This gives a sense of how an early-stage open source community operates on a day-to-day basis. Slides for a presentation about how open source projects work. OTS is based in Chicago and New York. OTS has currently filled all positions. When hiring, we are open to collaboration with people anywhere in the world who have good remote working skills. For older job postings that are now closed, see our Jobs Archive. OTS collaborates all over the world with clients in industry, government and the non-profit sector. We look forward to working with you! There are lots of ways to reach us. The fastest and most direct is by joining our chat server at chat.opentechstrategies.com. This is where OTS staff, clients, and friends collaborate and socialize. Please do drop in, even just to say hi. We are always eager to include new people in our community!